So these are the beauty items I mentioned in my last post. I bought this flat kabuki brush before I left for maternity leave and it's the brush I always apply my own makeup with. (I don't use my pro brushes on myself). 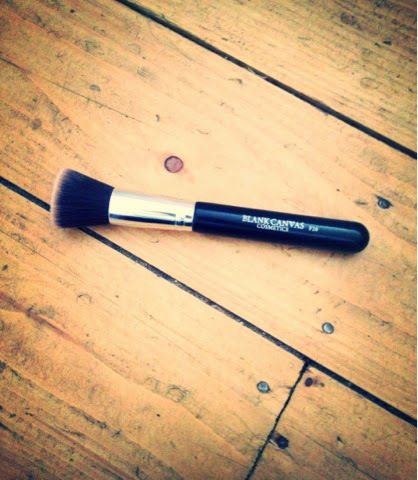 Recently however I've read great reviews about the Blank Canvas F20 HD foundation brush, so I decided to order it. It came really fast and I had it in time to do a clients makeup this morning. I was really impressed the foundation went on so easy and the coverage was great. I wasn't surprised its a best seller for the company. 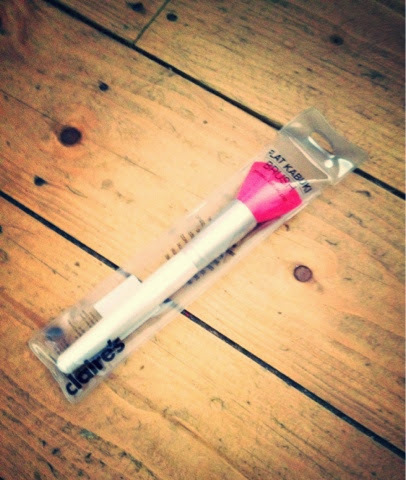 However I find the Claire's brush just as good which is why I bought another one today to start using on clients. 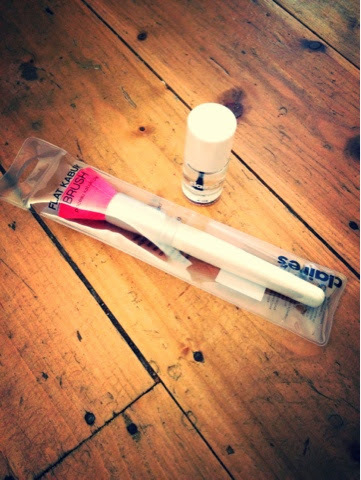 Both brushes are wallet friendly with the blank canvas one priced at €13.99 and the Claire's one priced at €5.95. However I paid a further €10 for my blank canvas delivery so when you factor the shipping in the Claire's brush works out a quarter the price. 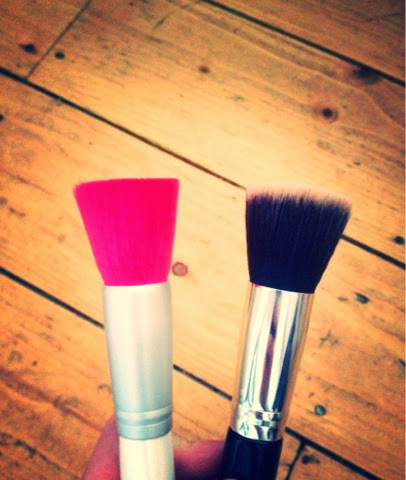 Both brushes are synthetic so they're vegan friendly and suitable for all skin types. They are used to stipple or buff your foundation onto your face. The flat top finish gives a brilliant even coverage. The Blank canvas comes in black like mine or hot pink. Like other brushes give these a deep cleanse by swirling them in some shampoo in your hand. I use baby shampoo as its really gentle, make sure to only wet the brisles. In between cleanses use a brush cleansing spray. Always wash your brushes before you use them. The second item is this gel top coat. This is my must have beauty item!!! I tend to get sick of nail colours very easily so I can never commit to a shellac. However my nails are always painted, I wouldn't even know what my natural nail colour looks like anymore. So I'm always on the look out for products that help my manicure last longer and look better. I tried this one day at work on a nail I had smudged. Not only did it completely hide the smudge it made my polish unbelievably smooth and shiny, I looked like I'd had a shellac done. I find it helps my polish to dry faster, keeps it looking fresh and makes my manicure last days longer. It's the look of a gel manicure without the expense and the hassle or going to get the colour removed.